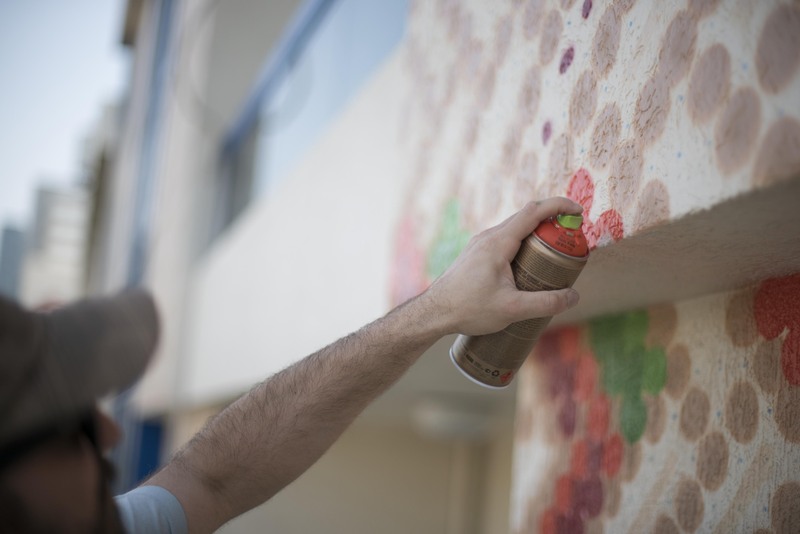 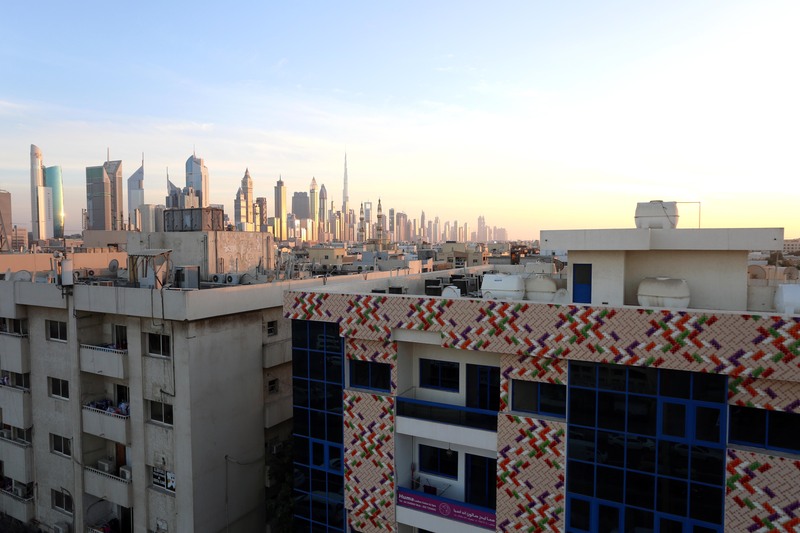 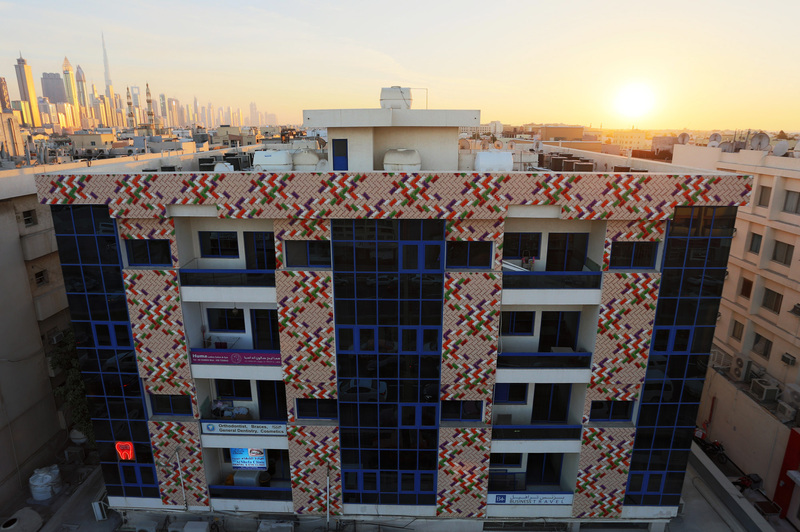 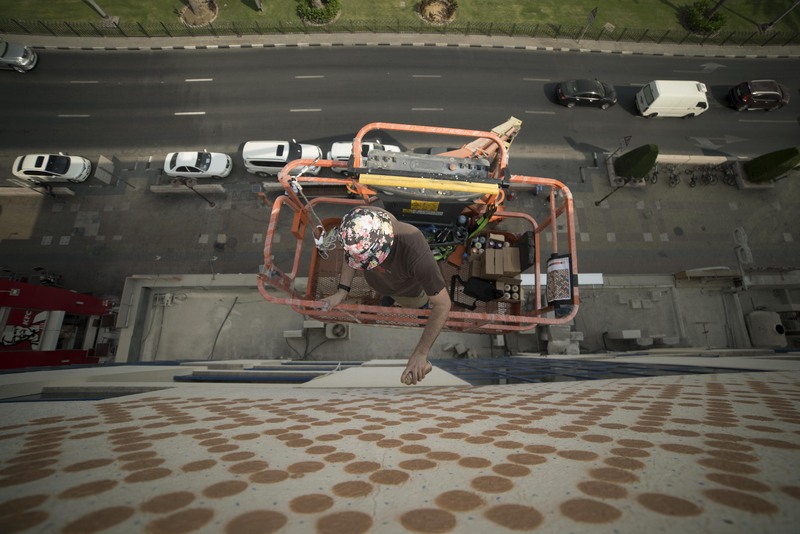 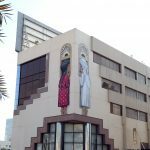 Kan from the Da Mental Vaporz Crew recently visited the city of Dubai where he was in town to take place in the first phase of the Dubai Street Museum Project curated by Rom Levy and Sanaz Askari in partnership with Brand Dubai. 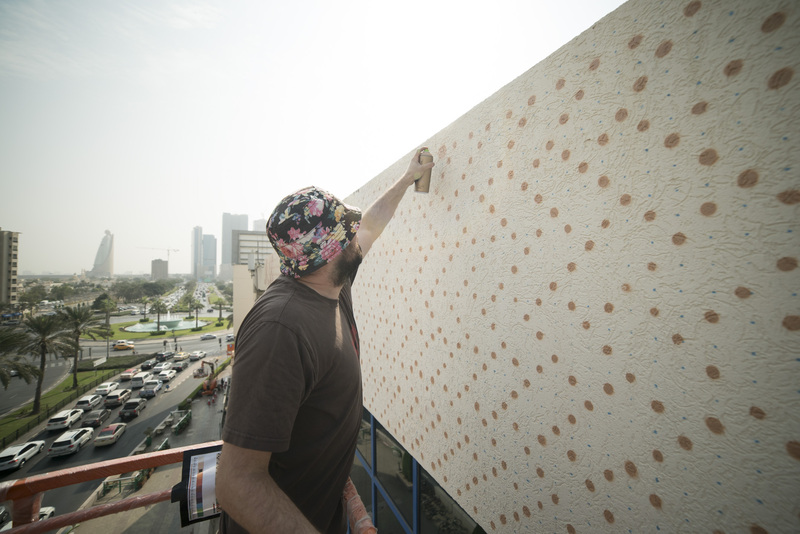 Geared with Montana Gold Spray Paint, the French artist used his unique pointillism technique to wrap up an entire building located on 2nd Of December Street. 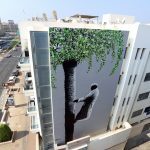 Inspired by traditional weaving patterns from the United Arab Emirates, this piece took over a week to complete and more than 75.000 single dots were created in the process. 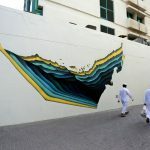 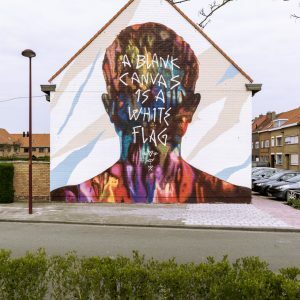 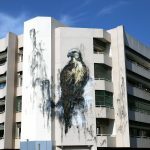 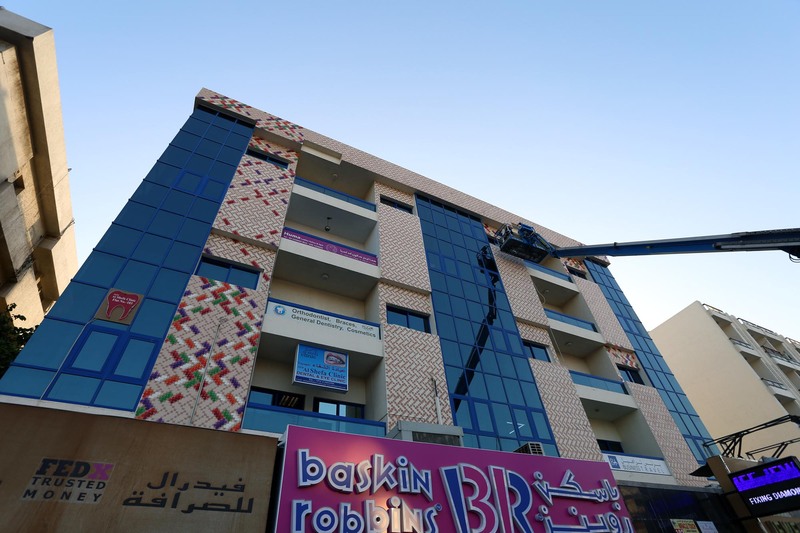 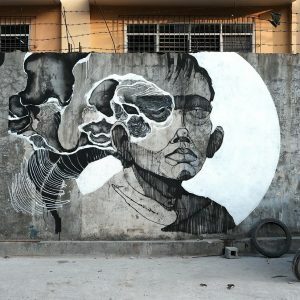 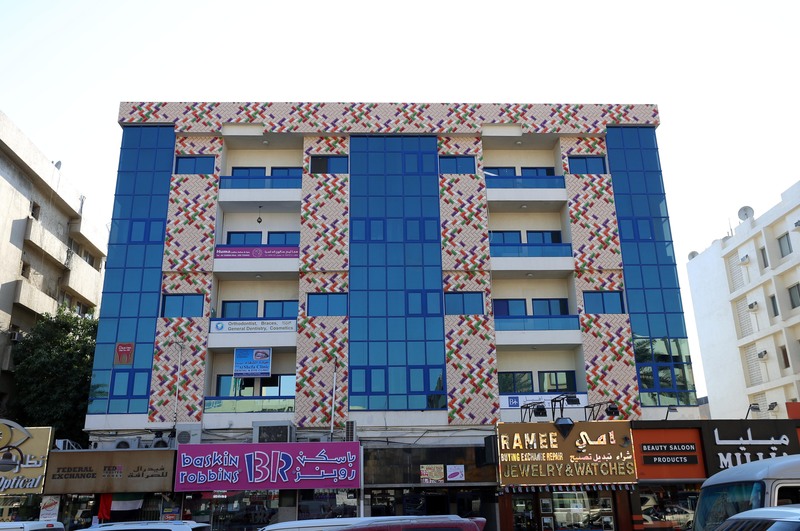 Take a look below for more images on this unique piece of work and keep your eyes peeled on StreetArtNews for the latest updates from the Middle East.